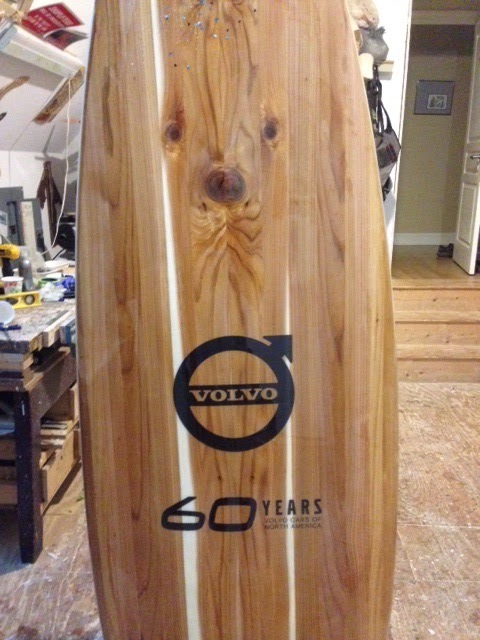 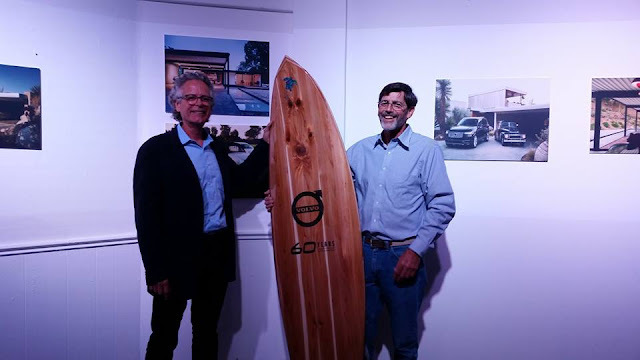 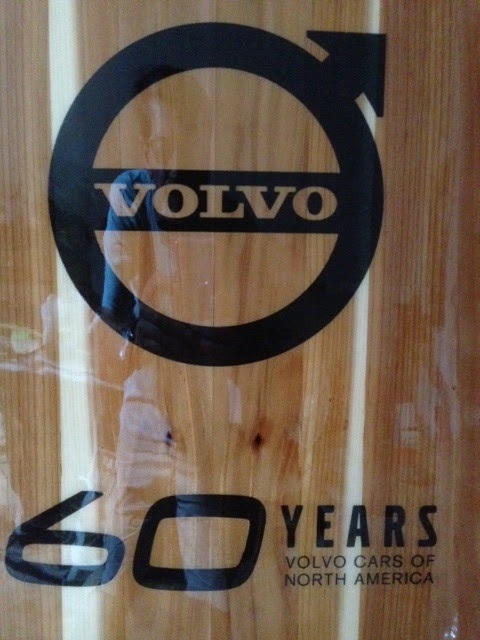 Built this board for Volvo's 60 years in America celebration out at Paramont Studios in Hollywood, CA this past October. Sweet short board and official logos. It came our really well. 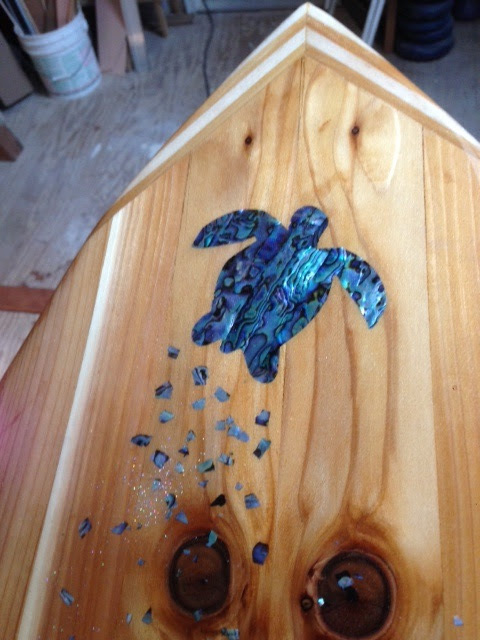 Western Cedar and epoxy resin, tri-fin set-up.